I feel it’s important to go ahead and get this out of the way: there is no denying that Little Chief, a Fayetteville, Arkansas-based folk band formed in 2012, can aptly be compared to mainstream folkies The Lumineers and Mumford and Sons, and the band unashamedly wears those influences on its sleeve. The rollicking, banjo-driven rhythm and sporadic shouts of “Hey!” on opening track “Hiding and Seeking” are a testament to this. 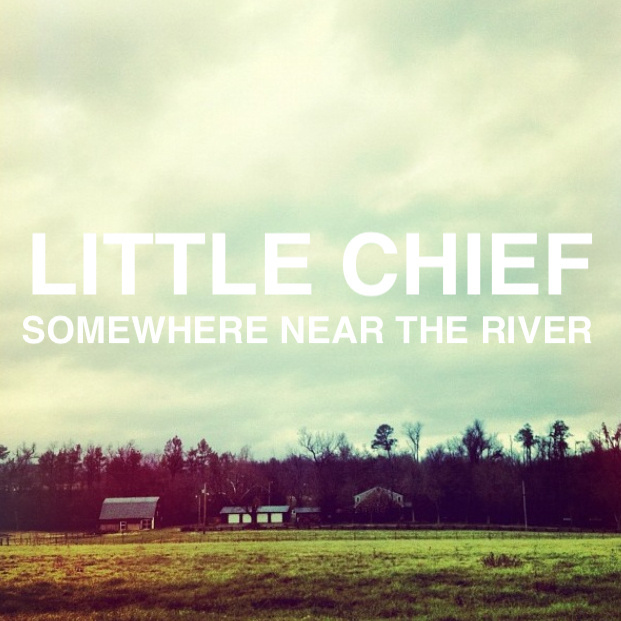 Depending on how you feel about either one of those bands will most likely color how you feel about Little Chief’s debut EP, Somewhere Near the River (released independently on March 1st of this year), at least upon first listen. Those comparisons, however, can also be a little unfair, for as much as folks love both Mumford and The Lumineers, the backlash against those bands by other folks has been nearly as impressive and passionate. If you are someone who immediately balks when such comparisons to Luminumford are made regarding a new band, you should still give Somewhere Near the River a chance. The fact is, Little Chief is a talented new folk group that brings some unique elements to the table. To me, the defining characteristic of Little Chief—insofar as a new band with only a single EP recorded can have a defining characteristic—is lead singer Matt Cooper’s voice. It’s so warm and inviting and smooth and soulful, at times reminding me of a mix between Chris Martin and Dallas Green (of City and Colour). Cooper’s voice stands out especially on songs such as the title track, “Somewhere Near the River,” where he hooks you with his lilting delivery of the chorus, and “North Carolina,” where he conveys loneliness and longing on the open road in equal measure. There is certainly a sing-a-long quality to the songs here, but not in the loud and overdramatically anthemic sense. This is a lushly produced and mostly quiet collection of tunes, and it suits the band well. Rounding out the Fayetteville five-piece is the steady rhythm section of drummer Andrew Myers and bassist John Lewis Anderson; Matthew Heckmann, who imbues the songs with deep, mysterious, and beautiful cello sounds; and Ellie Turner, whose harmonies soar effortlessly like a bird caught in a wind gust and compliment Cooper nicely. There’s even some sweet pedal steel on “North Carolina” (if you’ve read any of my previous reviews, you know that I’m a bit of a fan of the instrument). Two definite themes that emerge on Somewhere Near the River are love and hope, both of the romantic and spiritual variety. Perhaps my favorite lyric is, “If heaven sent me an angel, I’ve gotta find the place where I can see her again” from “Somewhere Near the River.” And though, as I mentioned before, this is a mostly quiet set of songs, I’m sure their live shows can get a little, well, lively (and stomping and clapping is encouraged, according to their bio). Ultimately, this debut release from Little Chief does exactly what an EP by a new band is supposed to do—it showcases both the band’s talent and potential, and makes the listener excited for whatever comes next. That’s a pretty good start.